An annual celebration of archives in the Philadelphia region! The 2015 Philadelphia Lantern Slide Salon will showcase glass lantern slides from the special collections of 7 Philadelphia institutions projected from an historic lantern projector in the Wagner’s Victorian-era lecture hall. Glass lantern slides are wonderful artifacts in and of themselves, but they are most interesting when we discuss the context for which they were originally created. In the spirit of lantern exhibition culture, this year’s salon participants will present a narrative story with their slides. The American Philosophical Society, the Athenaeum of Philadelphia, the Franklin Institute, the Friends Historical Library of Swarthmore College, the Scott Memorial Library of Thomas Jefferson University, the University of Pennsylvania Museum of Archaeology and Anthropology, and the Wagner Free Institute of Science will present an exciting evening of education and entertainment. Sit back and relax as we travel to the American West and the Lesser Antilles, delve into the destruction and relief efforts of WWI, get early 20th century lessons in social studies and science, and learn the benefits of abstinence from alcohol. 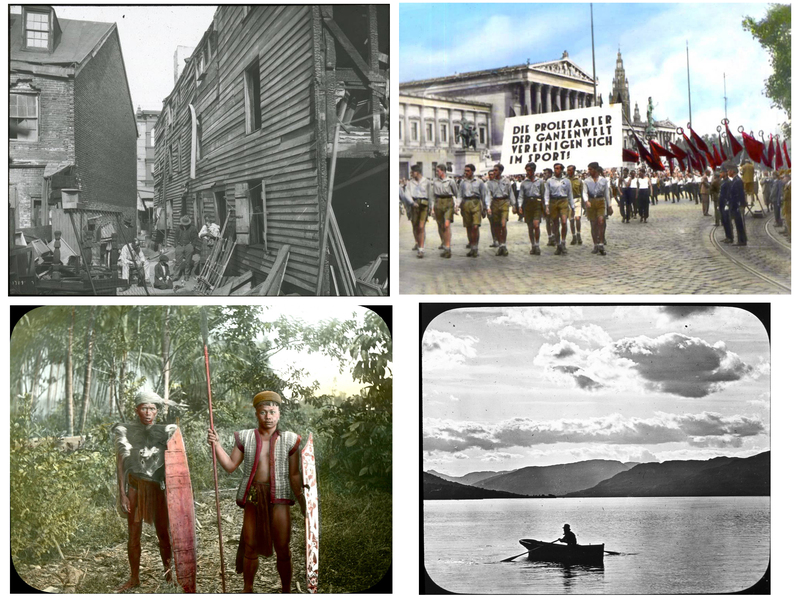 Predating the motion picture, lantern slides were used for entertainment and to illustrate educational programs. The Philadelphia Lantern Slide Salon will be held in the Wagner’s Victorian-era lecture hall using an historic lantern projector. Please join us for a rare treat as we revive an old technology in order to see culturally significant lantern slide collections from the libraries and archives of Philadelphia’s most distinguished institutions. 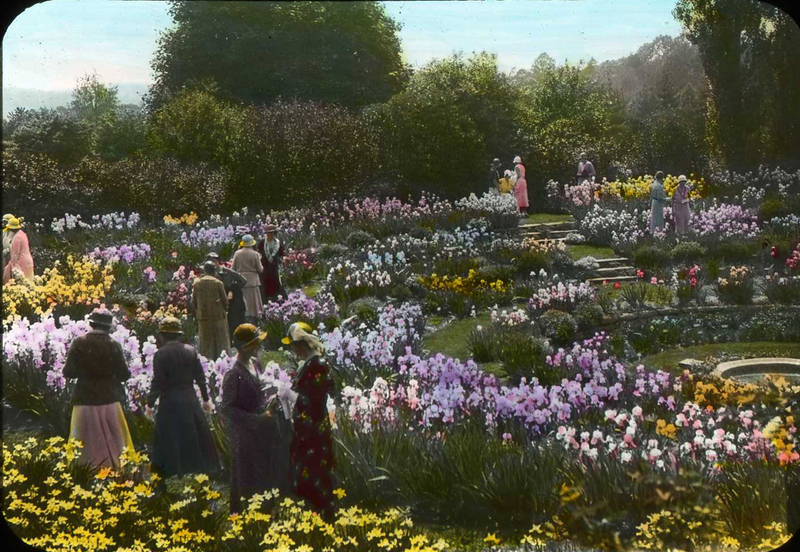 “Iris Bowl” garden on the Lloyd estate, Haverford, PA circa 1930. Credit: McLean Library Pennsylvania Horticultural Society. The 2nd Annual Philadelphia Lantern Slide Salon showcases glass lantern slides from the special collections of 6 Philadelphia institutions projected from an historic lantern projector in the Wagner’s Victorian-era lecture hall. This encore of last year’s popular event will showcase historic lantern slide collections from the Athenaeum of Philadelphia, the Barbara Bates Center for the Study of the History of Nursing, the Historical Society of Frankford, the Historical Society of Pennsylvania, the Pennsylvania Horticultural Society, and the Philadelphia Museum of Art. Predating the motion picture, lantern slides were used for entertainment and to illustrate educational programs and courses. The salon will be held in the Wagner’s unchanged Victorian lecture hall using an original lantern slide projector. 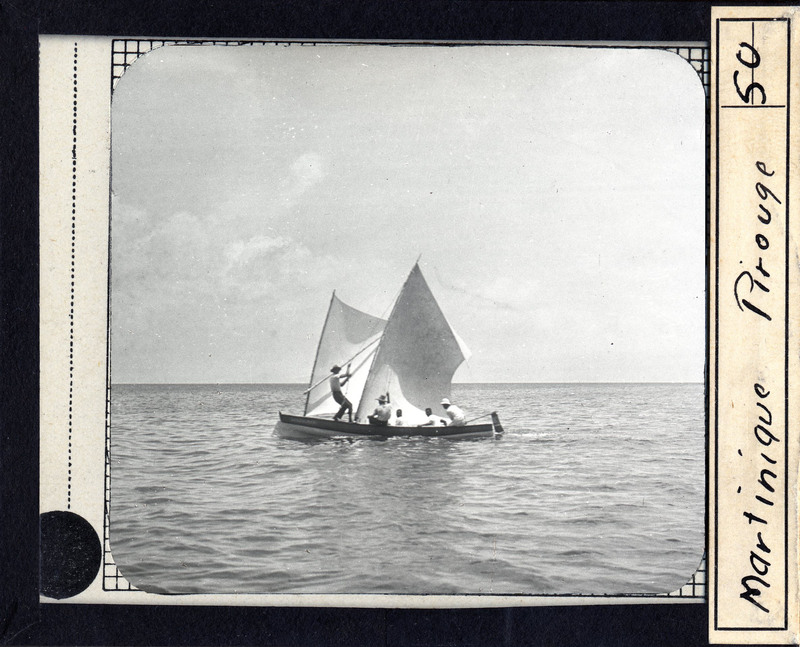 Join us for a rare treat as we revive an old technology in order to see globally significant lantern slide collections drawn from the libraries and archives of Philadelphia’s most distinguished institutions.